Wow. What a wonderfully exciting month March was. Missing finally made it out into the wild and I have been spinning like a whirligig ever since. The month kicked off with a fun launch and much love and support from colleagues, friends and relatives. 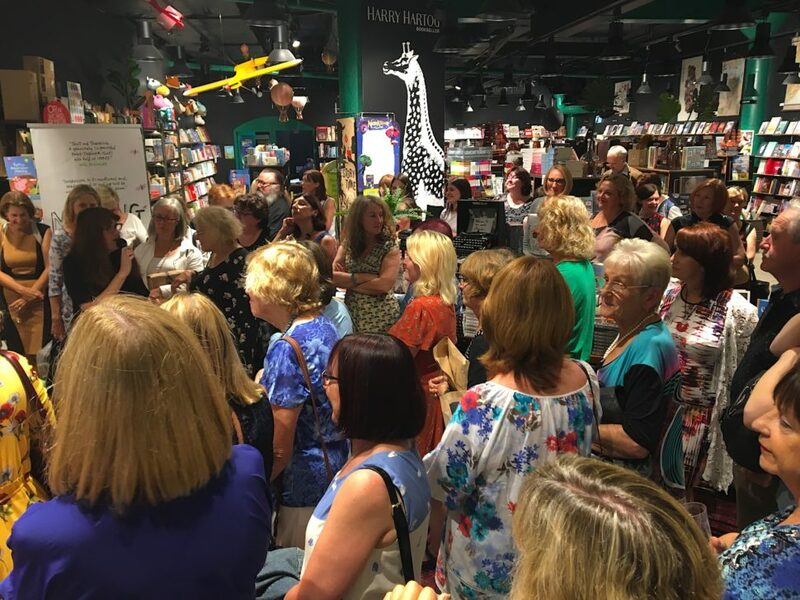 Then I was off on my first proper book tour with Walker Books and along the way there were interviews, school visits, plane trips, hotel stays, workshops, panel talks, conferences, guest posts, bookstore signings – and best of all: dozens and dozens of beautiful messages from readers. Thank you to all who have read Missing and a special thank you to those who have enjoyed it enough to send a message or tell me in person. Those messages mean so much to me. Truly, they are gold. To wrap up the most amazing bookish month of my writing life, here is a photo journal of some of the highlights. So sit back, fill up the popcorn bowl – it’s slide night. Loved all my school visits. The kids’ responses to the book were amazing. Thanks to Jan at Better Read than Dead for supporting the Sydney school visits. 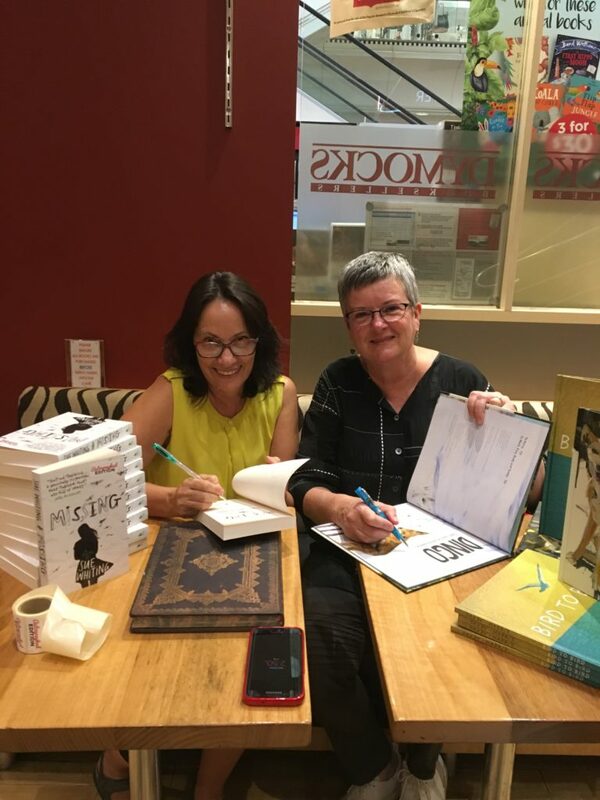 Signing books in bookstores is always appreciated and enjoyed – but doubly so when signing with a friend, author Claire Saxby. Thanks Dymocks Melbourne. 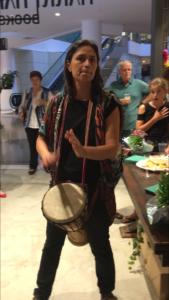 Storyteller Lilli Rodrigues-Pang did an amazing job to set the scene and kick off the launch. Such fun! Can’t help but love a bit of drumming. Stirs something deep within. 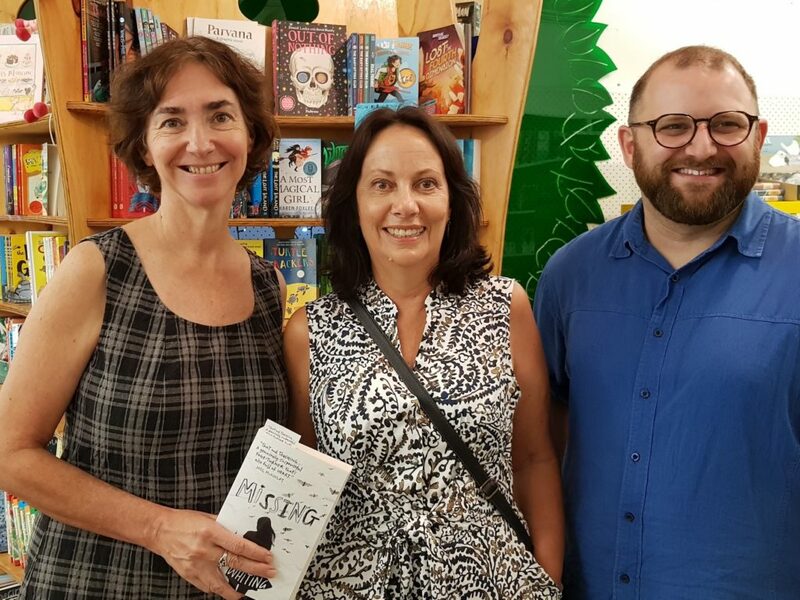 Thanks to Anna and Talie at Walker Books, Vicky at Harry Hartog’s Miranda and the wonderful Sandy Fussell for launching. 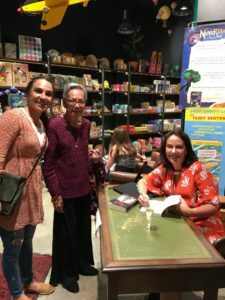 These fascinating women came all the way from Wollongong to the launch because they read about the book in the Illawarra Mercury and had connections to Boquete Panama. So special to meet them. Couldn’t do what I do without the support of amazing independent booksellers. 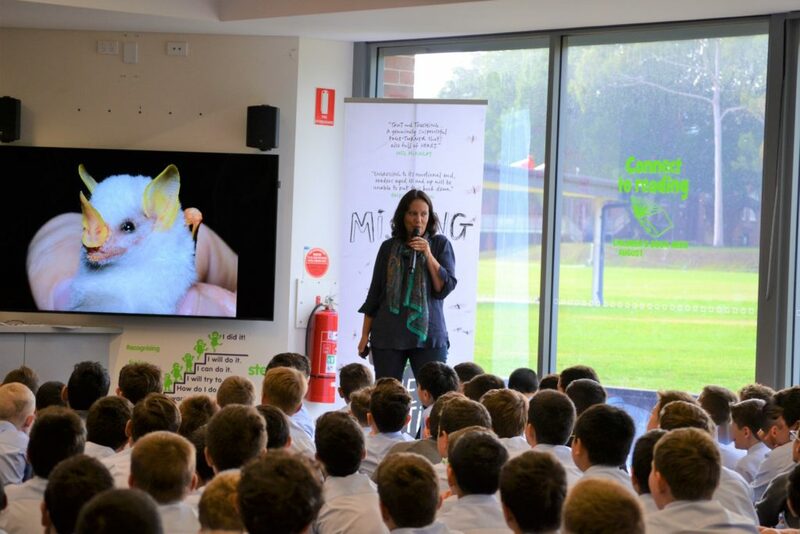 Great to meet Fiona from Where the Wild Things Are who supported the Brisbane school visits. And thanks to Steve from Walker Books for looking after me so well and organising the tour. Book spotting in the wild is always fun! Especially when there is a nice big display. 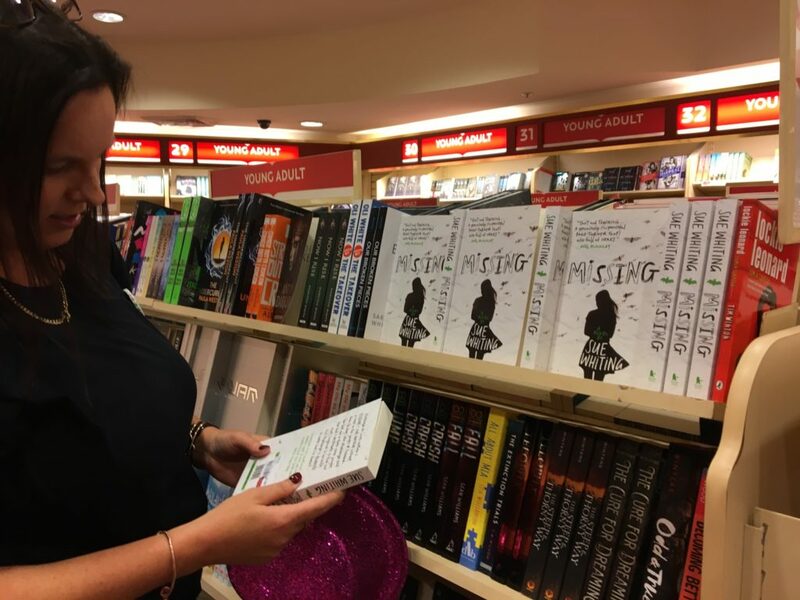 Author Katrina McKelvey at Dymocks Sydney. 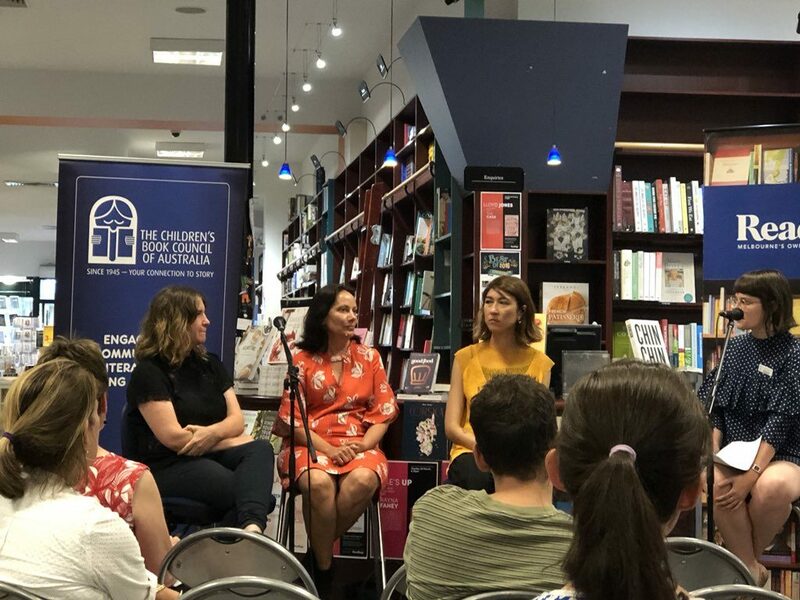 Was so excited to share the CBCA Vic Middle Grade panel at Readings Hawthorn with two amazing authors – Leanne Hall and Nova Weetman and to meet panel chair, T/L and reviewer Karys McEwen. Problem was, I was so enthralled by Leanne’s and Nova’s answers, I kept forgetting the questions. Not my finest moment, but a great night regardless. Thanks Michelle Bryceland for the photo. Loved entering The Little Bookroom, North Carlton for the first time. Children’s book heaven, for sure. Great to meet Leesa and see Michael again – and the kids at the workshop were beyond awesome. 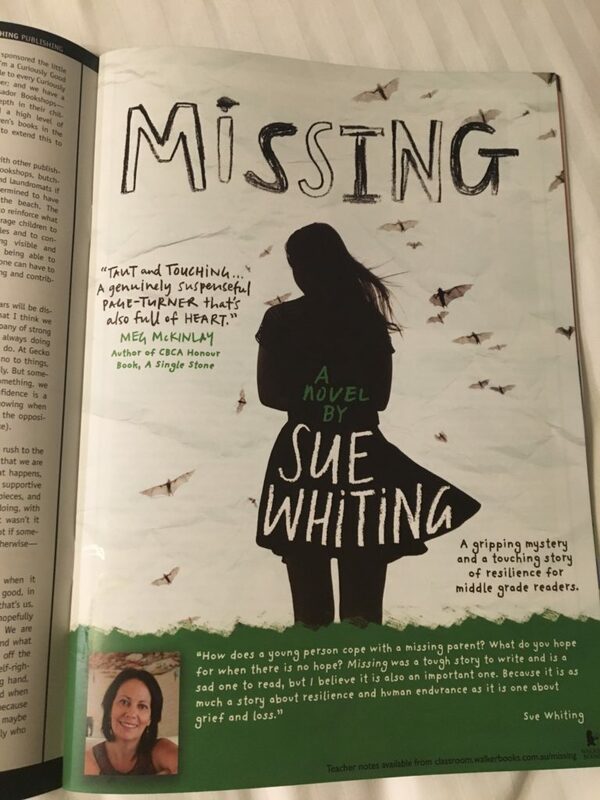 Thrilled that their middle grade bookclub will be reading Missing next term. Very cool! Time to return to the real world. 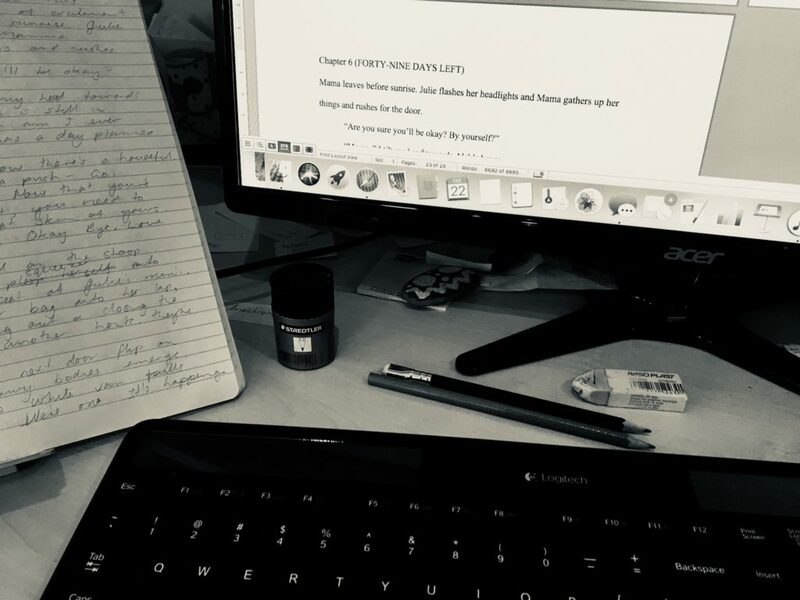 Now what was happening in that story I was writing …? So, that’s a wrap. Kind of. 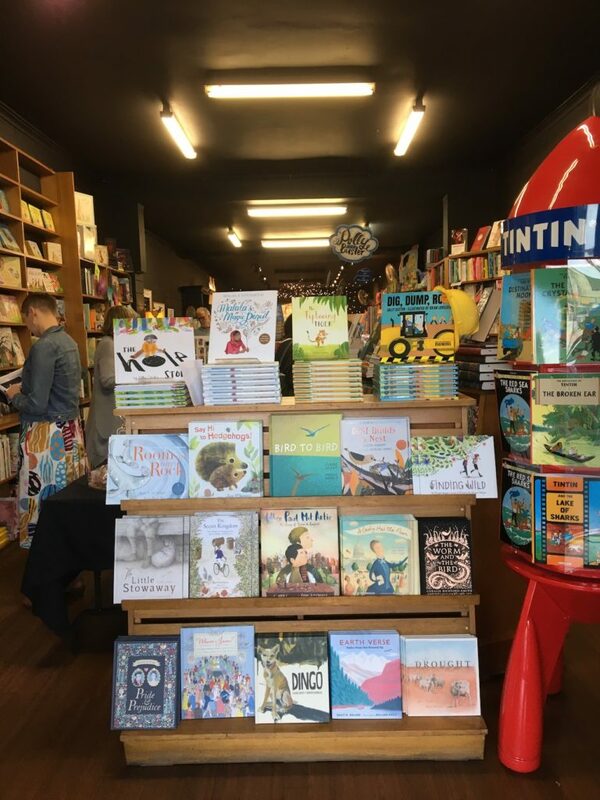 Still a few more events at Better Read than Dead, The Children’s Bookshop, Berkelouw Books Leichhardt and Sydney Writer’s Festival Live and Local in Wollongong … But you know what they say about rest and the wicked! Absolutely Janeen. A bit of a blur already – but a happy blur! Glad it went well. Gosh, you were busy! It was extremely busy – but loads of fun too. Thanks, Katrina.